This introspective music theatre, this future of opera, overwhelms with beauty, stimulates the imagination, and entrances the mind. Don’t miss it. On November 17-18, Only the Sound Remains, the latest opera by Kaija Saariaho, is presented by Lincoln Center's White Light Festival in its US premiere performances. At Dutch National Opera’s premiere in March 2016, critics described Only the Sound Remains as “archaic and modern” (Theaterkrant) and “sensual and evocative” (Financial Times). Commissioned by Dutch National Opera, Finnish National Opera, Opera de Paris, Teatro Real Madrid, and Canadian Opera Company, Only the Sound Remains combines two short operas inspired by Nôh dramas: Always Strong and Feather Mantle, based on English translations by Ezra Pound and Ernest Fenollosa. Japanese Nôh theatre was born from the Buddhist idea that light is concealed largely in darkness (so as not to blind mere mortals), and Saariaho releases this concealed luminosity through her deeply radiant music. Directed by Peter Sellars, this opera takes the audience on a unique journey through luminosity and darkness, power and symbolism. Performances run November 17 & 18. Pre-performance discussion with Kaija Saariaho, Peter Sellars, and Ara Guzelimian on November 18 at 3:45pm in the Agnes Varis and Karl Leichtman Studio in Jazz at Lincoln Center. Purchase tickets for Only the Sound Remains at Rose Theater, Jazz at Lincoln Center here. On November 12 2018 in New York City, the Advent Lutheran Church series, Music Mondays, presents Sonic Temples: Music of Saariaho & Barrière with Jennifer Koh, Davóne Tines & Friends. This program features three works by Saariaho; NoaNoa (Camilla Hoitenga, flute), Tocar (Jennifer Koh, violin) and the premiere of a new version of Changing Light for baritone and bass flute (Davóne Tines, bass-baritone). Making his Boston Symphony Orchestra subscription series debut, on January 24 2019, conductor John Storgårds leads the Boston Symphony Orchestra in Saariaho's Ciel d'hiver, an arrangement of a movement from her earlier, cosmic Orion. Additional performances will take place January 25, 26 & 29. Also on January 24, in a collaboration between the Boston Symphony Orchestra and New England Conservatory, Kaija Saariaho is featured on What I Hear, a series of free hour-long events meant to introduce audiences to composers working with the Boston Symphony Orchestra. These composer-curated chamber music programs feature performances by NEC students and include conversations between the composers and the Boston Symphony Orchestra’s Assistant Artistic Administrator, Eric Valliere. Admission is free, but RSVP is suggested. 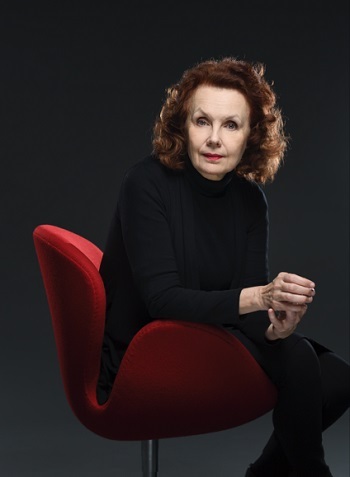 Discover upcoming performances of music by Kaija Saariaho here. For more information, please contact Marcos Cuevas, marcos.cuevas@schirmer.com.